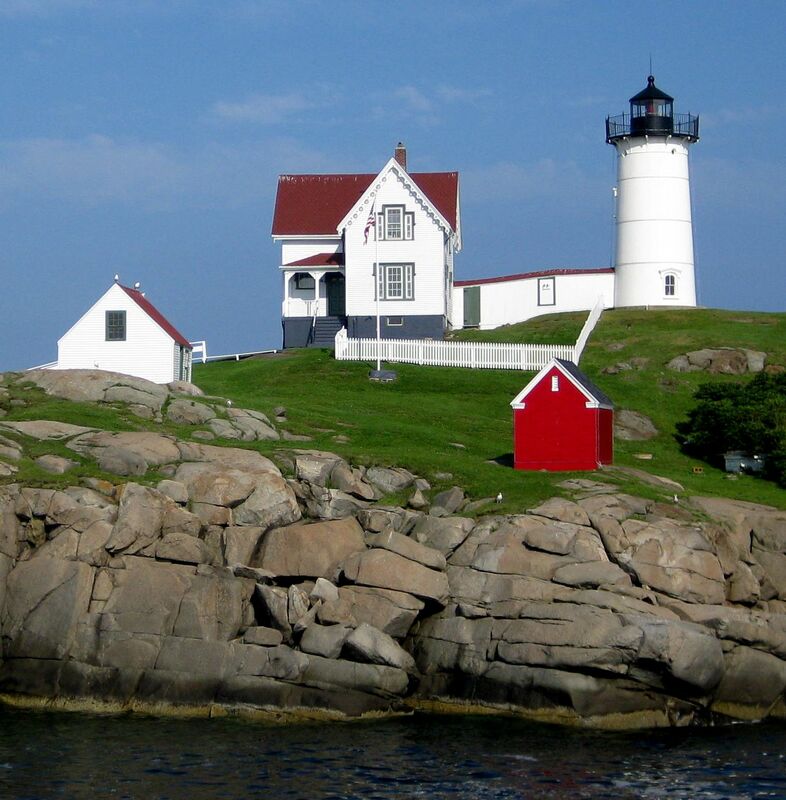 These hot summer days put me in mind of growing up in a little town in southern Maine. Not as one of the summer people; in winter you’d find me shivering in the snow at the top of our driveway, waiting for the bus. Ah, but the summers. 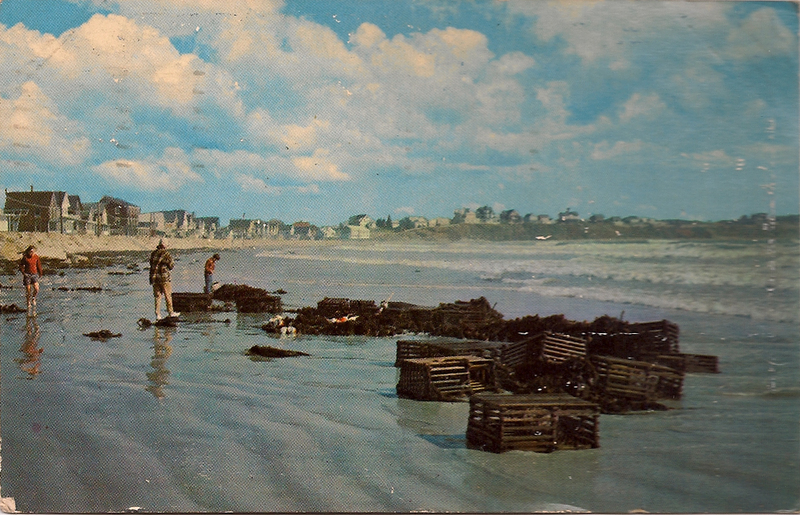 The summers were about the freedom to ride my bike past rosa rugosa out to the lighthouse to poke around in tidal pools or into town where I could perhaps choose a comic book or candy to buy with my 25¢ allowance. Down the street was the Goldenrod, established 1896, the sort of restaurant where one might enjoy a grilled cheese sandwich or fried cod with french fries before getting an ice cream cone to cool off in the hot summer sun. 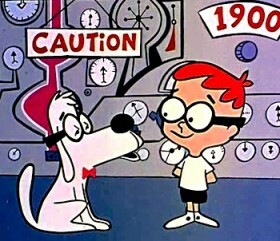 I’d stand outside the window and watch large machines stretch and tease confectionary into taffy consistency. Pretty boxes of the finished salt water taffy were stacked in the window waiting for tourists to buy and take home. At the other end of town was the amusement park, a child’s idyll so close to home. Dusk was the best time to go, when the lights came on and the spinning, twirling, toppling rides lit up the falling darkness. If the wind blew the right way, we could hear the music all the way up at our house on the hill. Magical. 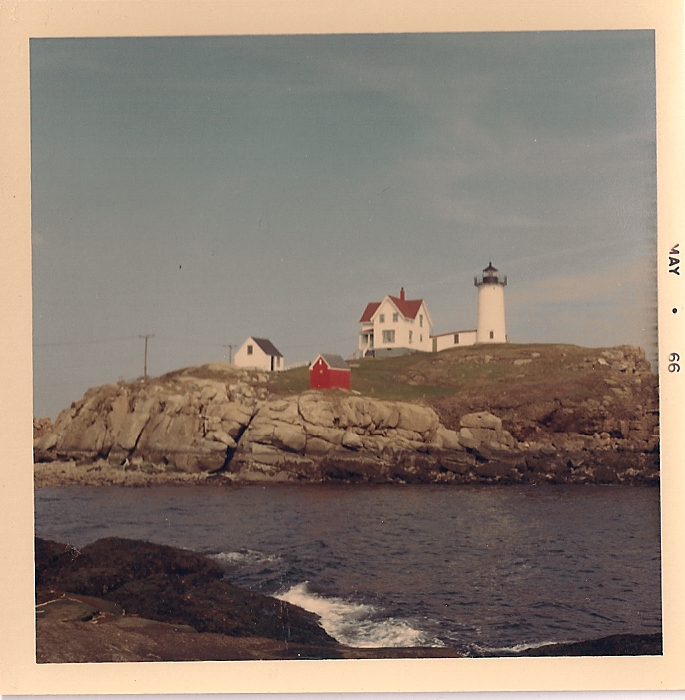 The Nubble Lighthouse in 1966. A beacon in the night, sometimes there are things or places that we count on never changing…. Summer was about my father hypnotizing lobsters into doing handstands on the wooden back step before they met a boiling death. It was about lazing on a big flat rock in our backyard, looking up at the sky and daydreaming. Or climbing a tree (do kids have trees to climb anymore?) that was my secret hideaway. Or finding a dead bird and bringing it home for a proper shoebox burial. Or laying in the grass and studying ants and counting the tiny periwinkle-colored flowers there — still one of my favorites all these years later, even though I don’t know its name and it’s probably a weed that lawn fanatics strive to eradicate. Summer was my swingset, creaking as it pushed me up into the sky. It was the quiet shade of the woods on the hill above the house, where I meandered looking for jack-in-the-pulpit and lady’s slipper. Fall would come all too fast. Back to school time, where once again I’d wait for the bus, and we’d drive out to the lighthouse to pick up the boy who lived there. Time for storms at sea, best viewed from the huge picture window at Mrs. Smith’s (no relation) house, perched on the edge of the cliff. August always marks the waning of the summer. And in the heat, stirring my iced tea, I think back to those long days of summertime, and how I never wanted them to end. Lovely. Happy summer to you! What lovely memories; they are especially poignant knowing how many times you moved as a kid. Well, yes, it’s a bit of an editorial stretch to say I “grew up” there — but, we did go from there to Connecticut and then back again to York, so if you added up all the years I was anywhere growing up… Maine probably comes out the winner (plus the being born there and all…) York and York Beach have the coziest memories to pull out. Connecticut was wonderful in a lot of ways, but we lived in housing where friends would come and go when their family was transferred. Wow! I grew up in York too (York Harbor to be precise) so I especially appreciate your lovely post–as well as your entire blog.